BHR HollyWood Reports Deion’s nasty divorce with estranged wife Pilar wages on, but a jury has awarded him full custody of the couple’s two sons, while declaring that they will share custody of their daughter. Read on for all the details. 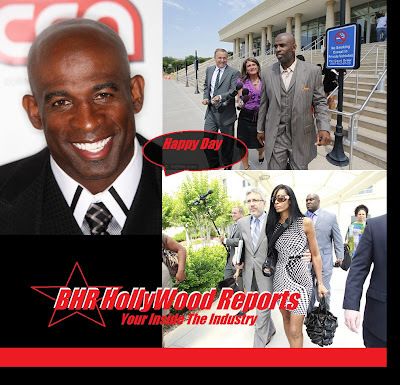 Deion Sanders‘ ugly divorce with estrange wife Pilar Sanders has finally received a bit of resolution when it comes to who will permanently care for their three children. The NFL Hall of Famer was awarded temporary custody of the kids back in May of 2012, and the Collins Co., TX just decided on Mar. 12 to largely keep things that way. 11 of 12 jurors ruled in Deion’s favor, giving him full physical and legal custody of his 13 and 11-year-old sons, TMZ reports. In the matter of their 9-year-old daughter, however, the ex-couple was given shared physical and legal custody. Both had been fighting for sole custody of all three of their offspring. 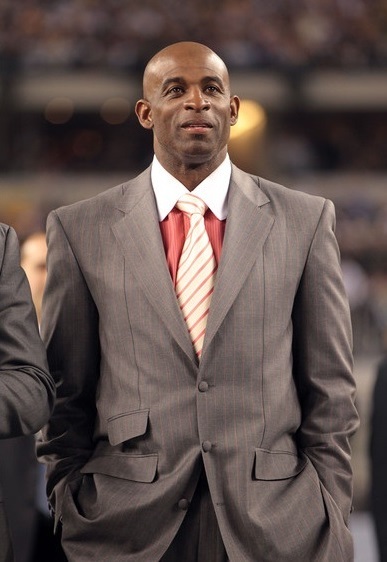 Though he hit her with divorce papers in September of 2011, the dissolution of the union between Deion and Pilar reached its climax after a domestic disturbance on April 23, 2012. 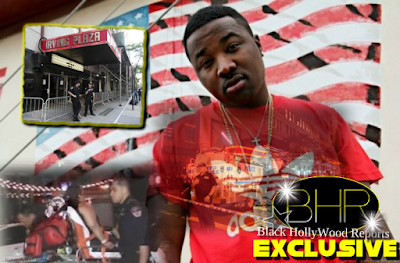 According to the Associated Press, both were charged with misdemeanor simple assault, with both seeking protective orders against each other. Deion, 45, was the only one to receive court protection. He was allowed to stay in their Texas home, while his estranged wife was ordered to stay at least 500 yards away from the residence. On the night of the incident, Deion was in a kitchen area when Pilar, 38, began kicking the kitchen door connected to their bedroom. She apparently then began to slap Deion, which prompted him to grab her by the waist and carry her out of the room. She sustained minor injuries and was jailed for a night.